It’s a plum tart. I love plums. I love stone fruit in general. 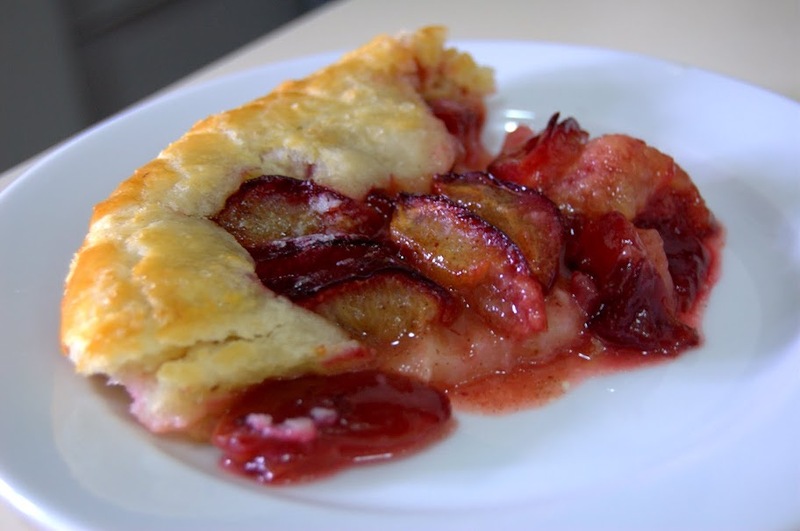 But I’d never actually cooked plums before, and I generally shy away from anything that requires me to make my own dough. Today was a “Cook all the things!” kind of day though (I also made a chocolate cake, and cherry cobbler yesterday). I must have been feeling ambitious. I’m sure with a good night of slacking and a hefty dose of TV, it’ll go away on its own. Not to worry. Anyway, the tart. It was delightful. 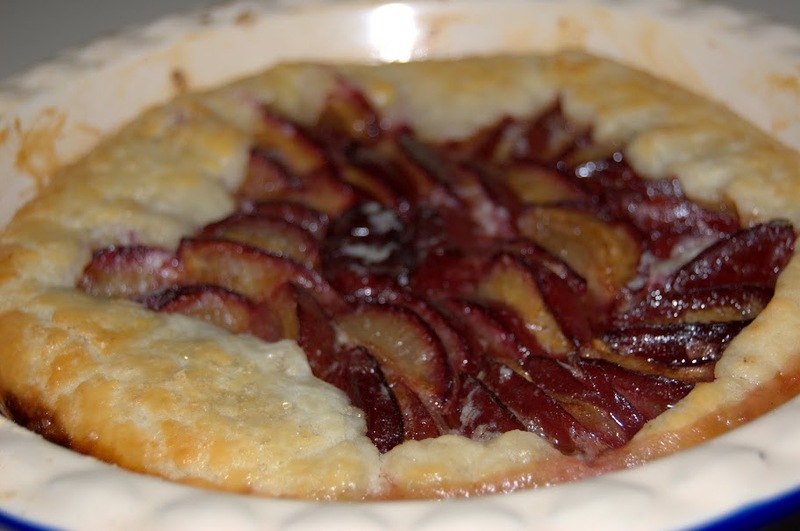 I got inspired by the good deals at the store and bought a bag of tiny little plums and thought, “Tart!” I perused a few recipes online to find something simple, no custards or whisking or large ingredient lists. Finally, I found and adapted this recipe from Eating Out Loud. Combine flour, sugar salt and cold butter in the processor; pulse a few times until you get that “coarse meal” kind of look. Then drizzle in a few tablespoons of ice cold water and pulse until the dough comes together into a ball. Wrap in plastic and store it in the fridge for at least an hour, or overnight. 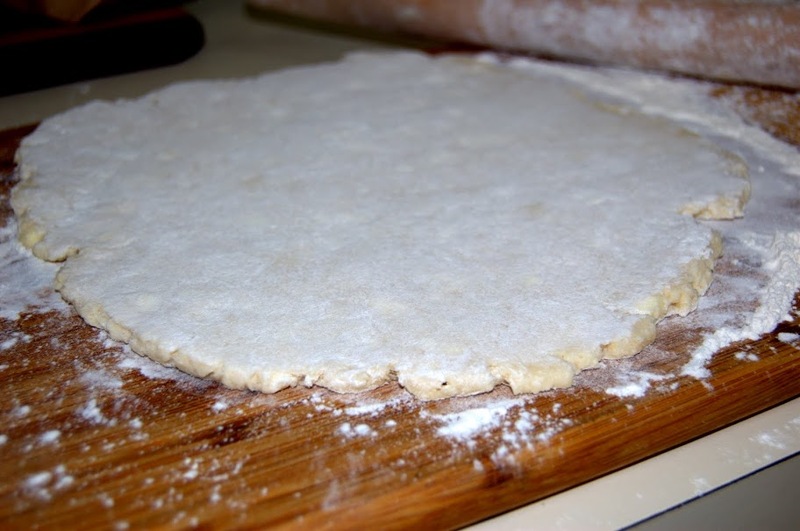 When ready to use, roll out the crust into a relatively-circle-ish shape and put the crust on a cookie sheet or in a pie pan. Sprinkle the flour and 1 tbsp of sugar over the crust. Wash the plums, pit them and cut them into slices. Mine were pretty small, so I cut them into quarters. Cut yours however you like. Honestly. It doesn’t affect me at all. 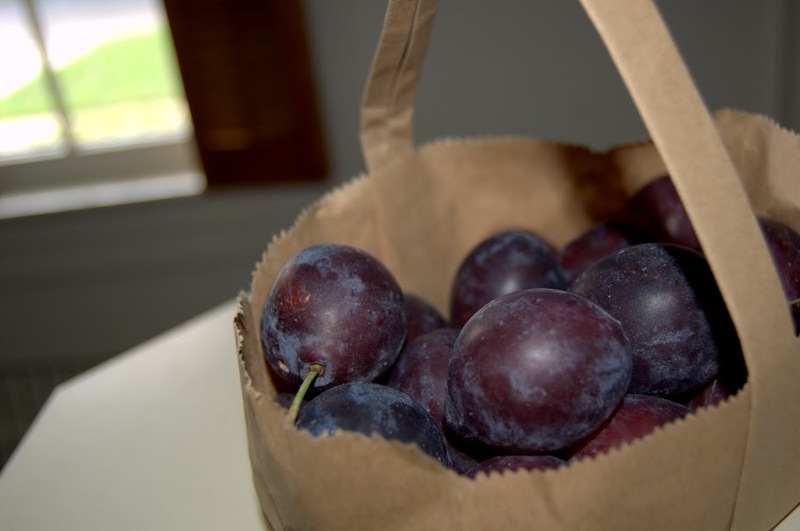 Toss the plums with 4 tablespoons of raw sugar, the cinnamon and vanilla bean paste. Arrange the plum slices in a pretty design, like concentric circles. Or don’t. Whatever makes you happy. This is a happy dessert. It’s the Bob Ross of desserts. There are no mistakes; only happy, delicious accidents. Just don’t set anything on fire. 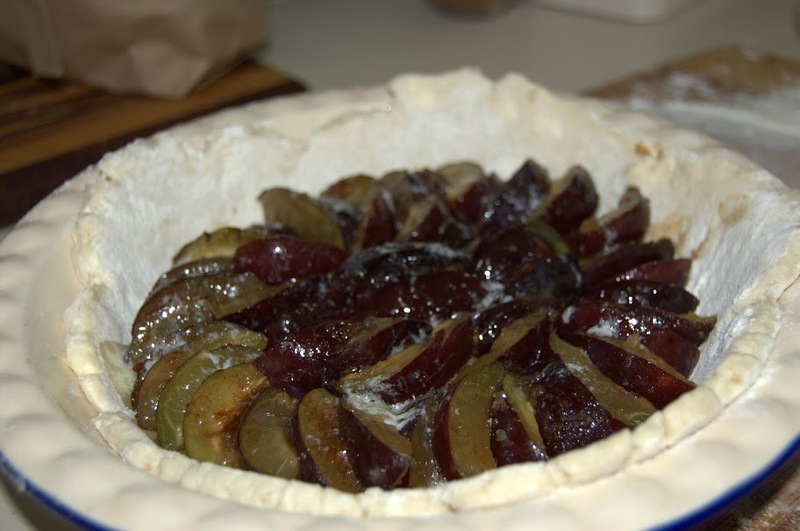 Fold the crust in and pour melted butter over the plums and brush egg wash (egg and water) over the crust, sprinkling it with the last tbsp of sugar. Bake it in the oven (cause really, where else would you bake it? The tanning salon maybe) at 400F for about 40 minutes. Let it cool, slice it up and serve it with a dollop of whipped cream and a sangria. Consider it a toast to a happy pre-winter fall. What’s the difference between a tart, a pie and a torte? Pies and tarts are relatively similar, except that while pies sometimes have top-crusts, tarts usually do not. Pies often have flaky crusts, whereas tarts usually have shortbread ones but that also has many exceptions. However, a torte is completely different from either a pie or a tart. A torte is a rich cake usually comprised of multiple layers that generally features a filling (jam, mousse, buttercream, etc) and is usually glazed or topped with something. They also contain very little flour. And I DID enjoy that beautiful, delicious gift. No mention of the cherry cobbler, though?